Throwback Thursday to Sunshine and Chelsea! It seems like a distant dream now that we were basking in the sunshine at Chelsea, soaking up this year’s incredible flower show. We were delighted to be awarded four stars on our stand this year. Rosebie and the fantastic Chelsea team were amazed at the amount of visitors that joined them at the stand which you might have seen through our rose wall competition that we ran throughout the week which we will be announcing this Friday. See below a small selection of some of the entries. 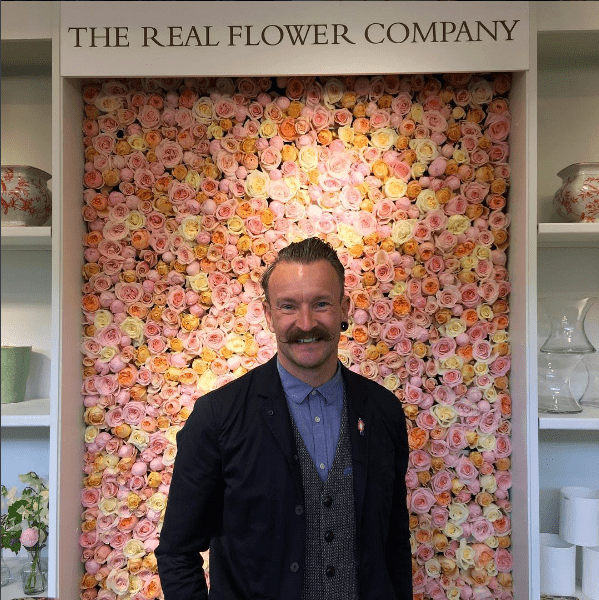 Did you catch the wonderful Simon Lycett last Friday on BBC 2 “The World’s Biggest Flower Market”? The documentary gave a great insight to the industry and he even managed to visit our very own Maggie and Tim and their team on the Tambuzi farm in Kenya. You famously provided and designed the flowers for one of our all-time favourite films ‘Four Weddings and A Funeral’; if you could choose or do a wedding again of your dreams who would you do and what would you do? As icons of style and taste, it would have been great to have worked with Audrey Hepburn and Mel Ferrer interpreting their vision and adding our own elements of #floralfabulousness. You recently visited our sister farm in Kenya, ‘Tambuzi’; what was the highlight for you and did you manage to pick a favourite rose and if so which one? 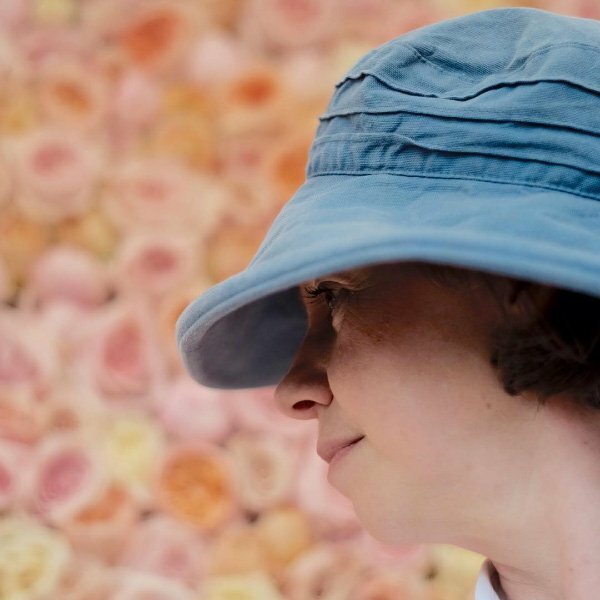 Having adored working with fragrant English garden roses supplied by The Real Flower Company since it first began, it was utterly exciting to be amongst such an abundance of incredibly beautiful fragrant flowers. Whether grown in Hampshire or Tambuzi each rose flower resonates “English summer gardens” when I use them throughout the year. Seeing these delicate ethereal blooms thriving in such heat and surviving 4,000 mile journeys was incredible. In the absence of Margaret Merrill (!) my total fav was Prince Jardinier. You attend Chelsea every year; what makes Chelsea so special for you and what are your top 3 must do’s while you are there? As someone whose career path was inspired by an RHS-affiliated town flower show in Warwick at the age of seven, tents full of flowers are the most exciting of spaces to be in and each year I am in awe of the incredible creativity, talent, colour and horticultural prowess shown by each and every exhibitor. I am also lucky enough to be involved with the RHS and BBC TV during Chelsea week – a great privilege. The first of my three must do’s is to get in as early as I can to enjoy the Show Gardens on Main Avenue before the crowds arrive. My second is to see what the amazing floristry students of many of the UK’s colleges have been up to. I recognise that we need to be nurturing the upcoming floristry styles of tomorrow as some of us aren’t getting any younger! My third must do is to enjoy a glass of Pimm’s and a quiet five minutes listening to the Military band in Ranelagh Gardens. This year you are involved with the Angell Town project; tell us a bit about this and why it means so much to you? Do you have a favourite scented English rose? 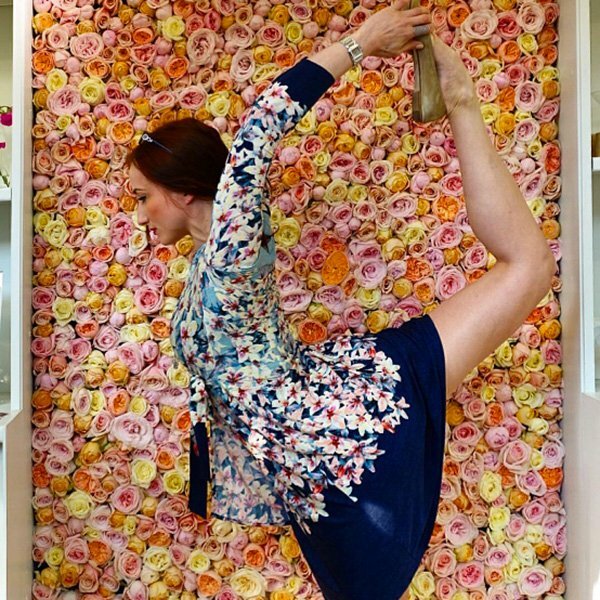 What is your top tip for aspiring florists in 2016? Keep an eye on social media channels. They provide the most amazing portal to the portfolios of florists around the world, giving inspiration and information. Where are you off to on your holidays this year? I am a very lucky florist who has a brilliant Team that enables me to sneak off for a greedy six weeks during the summer months. My partner’s family has a house on a sea loch on the West coast of Scotland where we will spend a very happy summer enjoying dog walks on the beaches and daily picnics and the fact that there is no mobile phone signal! Tell us your favourite haunt in London and why? New Covent Garden market where not only can I source fabulous foliage and flowers including beautiful fragrant Tambuzi roses, but the banter and chat with fellow florists and suppliers keeps me grounded. Cups of tea, coffee and bacon sarnies help restore the soul too. The Real Flower Company LOVE your bright and wonderful dress sense, when did you first wear your now signature Union Jack jacket? I actually have a secret to confess. I own two Union Jack jackets. One in a muted pallet of colours, the other not so much! I first wore it when asked to show HRH Duchess of Cornwall around a flower festival which I co-designed and which she was kind enough to attend. During the course of our conversations I confessed to being very keen on her broaches and she reciprocated by telling me she would quite like to borrow the jacket! 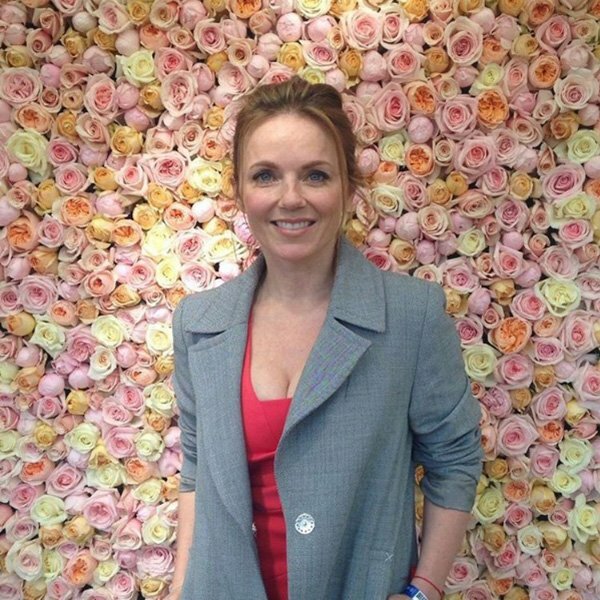 The second brighter jacket was used to great effect to promote #British Flower Week and still has a fair few outings! What is your desert Island must have? The wherewithal to cook a delicious meal, to rest in the shade, listen to music and enjoy the company and conversation of friends (would we call that a hotel?!). The Real Flower Company are now busy getting prepared for British Flowers Week and have lots of exciting things coming up including, finally, the launch of our eagerly awaited British range, fingers crossed for some more sunshine and we look forward to catching up with you soon!